They disable trading purposely seconds before till seconds after big news that may cause volatility. They pay employees commissions on client deposits minus client withdrawals meaning if a client profits and actually takes their money, the account manager won't get paid. They target only amateur traders. They tamper with trade terms eg. Increasing stop loss limit bands to force traders into taking greater risks before increased volatility. They have the least responsive financial services site in the world, run on archaic hardware with no redundant backup systems in place, when it goes down as it so often does, there is no fail safe. They have the worst financial calendar one could imagine, it must be updated manually therefore is full of errors and always late. Their website suffers caching issues often They recently changed the company name to blue capital markets but have not made the change public likely because it was changed only to avoid legal issues fro a client suing them for wrongful losses and account tampering worth over one million usd The prior head of the dealing room Nicolas shamtanis had to be transferred from his position to one in marketing due to unethical actions and comments relating to significant client losses. I might add easy forex is registered in the Marshall Islands, yet has NO office there, how in the world is that NOT fraudulent? Been with this broker for a while (more than 2 years), they seem reputable and friendly enough. BUT don't be fooled by their popularity on facebook or their friendly image. Their spreads are quite high particularly for EURAUD / GBPAUD pairs. Also, their stops levels are really high (ridiculously high in fact) compared to other forex providers, i.e. 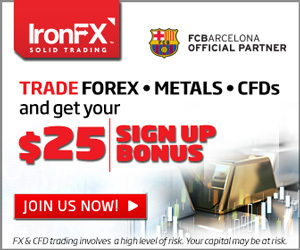 12.5 pips for most currency pairs and even up to 400 pips for Gold at one time. I've noticed brokers like Oanda, FXCM, Dukascopy have their stops levels at zero (which should be the way). While their account managers are friendly, and leverage is high (which is good), the stops levels issue and high spreads really stack the odds against you in making money here. STAY AWAY from this broker at all costs. MUCH better to entrust your trading to more reputable broker firms. My personal favourite, I use mt4 with them, rarely any problems and if there are I phone up and it is resolved instantly. Customer service is second to none. Tight mt4 acocunt with fixed spreads offers good value for money, rarely any slippage and also allows positive slippage. If you are beginner or swing trader then definitely use these guys. also have a new options platform which is very use friendly unlike IG or saxo. The webplatform does have high spreads but it comes with guranteed stop-losses and the spreads are fixed. However I am with easyforex and am using the mt4 platform and I have got 2pips fixed on four major pairs including EURUSD. If a broker has high spreads, just call up and ask them to be lowered!! The mt4 platform works perfectly a far as I am concerned. The demo has frozen sometimes but I was told this is because they test things on it sometimes to make sure the real server works perfectly 24h a day. I have other accounts with Dukascopy and Intertrader so as to get the best price when I enter but the service from easyforex is much better than any I have encountered. Easy-Forex-is an Israeli company with tricks and lack of support trading company. The current re-structuring of management that took place recently made the company even more unprofessional for easy trading. The key and experience people from marketing, sales and dealing room departments left the company this year. The lost NFA, FSA licenses but still advertizing like they havi, the latest news COMPANY FOR SALE, watch your money!!!! This is the most ridiculous platform out there. Problems with execution. Yes, the spreads are outrageous. But I could handle this. Yes, the platform is slow and difficult to use. I could handle this too. But what I couldn't handle is the fact this broker DELIBERATELY FREEZES the platform just when you need to exit a position, AND THIS HAS HAPPENED MANY MANY TIMES. They play games with you. You may decide to raise your stop loss - they will prevent you from doing this. You may have a position over the weekend and they claim they make a market during that time. When you want to offset they say "Dealer Desk unavailable at this time." I suppose you could call Israel- oh, this is an Israeli company, not Australian or Cyprian as they claim. Believe You Me, YOU WILL LOSE EVER CENT YOU INVEST. They will pull the plug on you every time you look for the exit door.. This has happened too many times to be a coincidence. Call customer service and they will say "Well, We have fifty thousand accounts and can't control everything." Or the markets are too active... That's like saying a Zebra has stripes. They are criminals and I recommend you read the blogs under EASY FOREX SCAM. They tell you how they make their money -when you lose yours. Slow web page. Very big spreads. High spreads. Difficult to set up stop loss and take profit, takes several clicks, and sometimes if you adjust stop loss/take profit, they "debit" your account for it, which doesn't make any sense. Also charges a daily "rate" which is way too high compared to other brokers. STAY AWAY!! Easy-Forex, agents started up companies for managing accounts to people that have no experience in Forex. They "hired", "account managers"-people that took a three meeting course at Easy Forex, and brought to them customers to manage their account. These "account managers" with no real knowledge in Forex didn't quite knew how to trade and were given "advices" from their agents at Easy-Forex. Clearly these "account managers" didn't know that Easy-Forex and Easy-Forex agents make profit only if they lose. Not only that, the salary of these agents was based on their customers losses, such that the customers profit is subtracted from these agent salary to an extent that these agent may need to bring money from home in order to compensate for easy-forex lose. Too big spreads on mini account and on normal account as well. It is excellent. The problem they need to solve is the delay in entering or exiting a position. Too much slippage. You loose 4 or 5 pips (every time you enter or close a position) due to lagging executions. The slippage always goes contrary to the customer. The lagging favors always easy-forex. Web based platform makes it easy to trade. But the spreads are awful. And they charge on overnight deals regardless of whether the interest differential is favor or against us. Web-based and very simple to use. On the other hand, they have the highest spread I have ever seen in Forex market!!! Very high spreads!! !